The daughter of a litigator, Kathryn Breard Platt learned about the law and how to argue at a young age. She is passionate about obtaining positive results for her clients. Whether Kathryn is defending a client in large, complex construction litigation or representing a client in a small collections matter, she provides the representation that she would expect from a lawyer. Kathryn understands the importance of keeping clients informed while developing an aggressive path to success. Since joining Galloway Johnson in 2005, Kathryn has represented large corporations, small businesses, insurance companies, and individuals throughout Louisiana, Mississippi and Alabama. 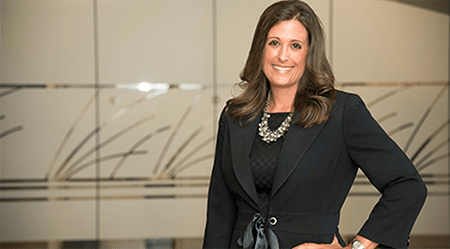 Kathryn’s experience and knowledge of the law have helped her obtain dismissal of clients through summary judgment and after a trial on the merits, as well as obtain responsible settlements when doing so is in the client’s best interests. Additionally, she has successfully obtained voluntary dismissals of her clients through the use of Litigation Accountability Act letters. Kathryn also authored an article entitled “Homebuilder Liability in Mississippi for Defective Component Parts: Why Homebuilders Should Not be Liable for Defective Component Products” which was published in the MDLA Quarterly in the Winter of 2012. Kathryn has earned a “BV Distinguished” rating from Martindale-Hubbell for her ethical standards and legal capabilities. She is active in several professional and social organizations. She enjoys running and CrossFit when not working or spending time with her family. Kathryn is married with three children and attends St. James Catholic Church in Gulfport, Mississippi.